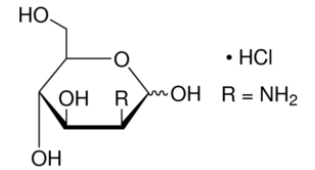 D-Mannosamine Hcl is an important moncsaccharide starting material for a range of important biologically functional derivatives. D-mannosamine Hcl is used for the synthesis of sialic (N-acetylneuraminic) acid derivatives. It is also a synthetic intermediate for a number of carbohydrate-derived families of biologically active compounds and pharmaceutical candidates. D-mannosamine Hcl is the preferred synthetic precursor of N-propanoyl mannosamine.D-mannosamine Hcl always used as an inhibitor in pharmaceutical industry. We synthesis D-mannosamine Hcl from our own N-Acetyl-D-Mannosamine (99% Min), so the purity is very high.